Regulator heater kit is designed for Kohler 20kW residential/light commercial generator sets. 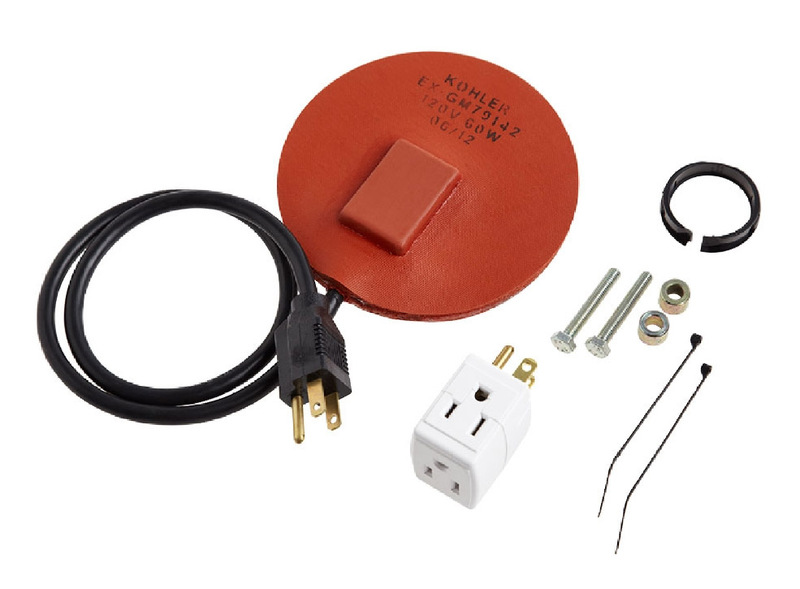 The regulator heater kit is recommended for reliable engine starting in temperatures from 0 degree F to -20 degree F. The regulator heater is a 5″ diameter round heating pad with a snap action thermostat and a power cord. The heating pad mounts directly on the fuel regulator, which is located on the air intake side of the generator set. The regulator heater requires a source of 120 VAC, 50/60 Hz power. The circuit should be ground fault protected. The generator set is equipped with 120 VAC receptacles for this and other AC-powered set accessories. The kit includes an adapter plug for connecting multiple accessories.